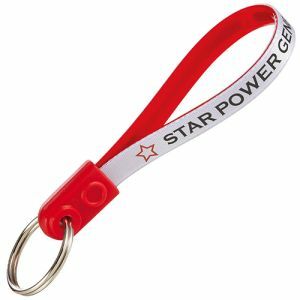 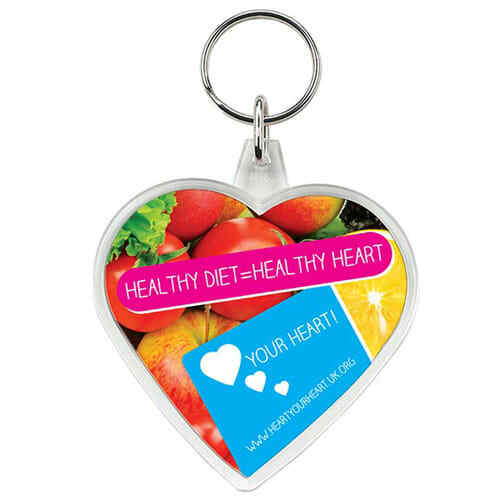 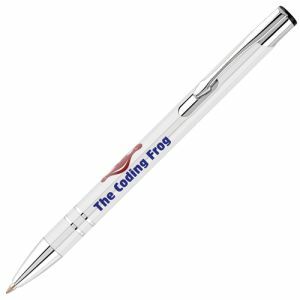 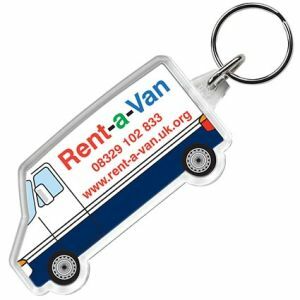 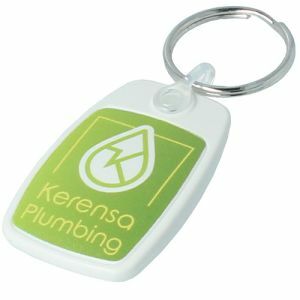 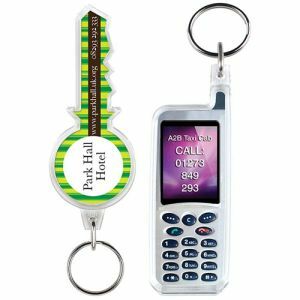 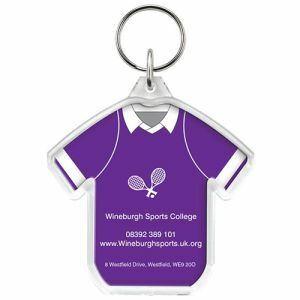 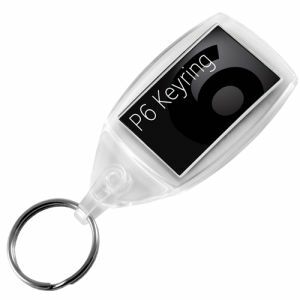 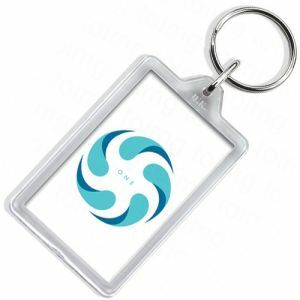 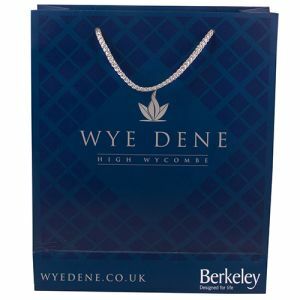 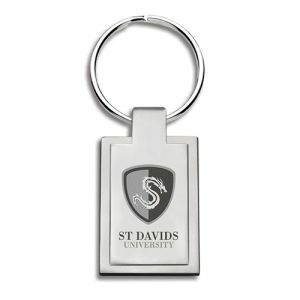 Personalised Shaped Keyrings - great value for money key fobs made from durable clear acrylic printed with your logo or brand in up to full colour print. 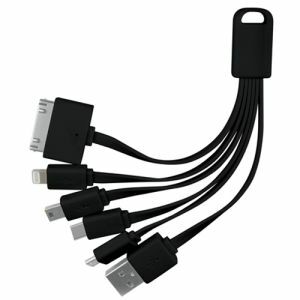 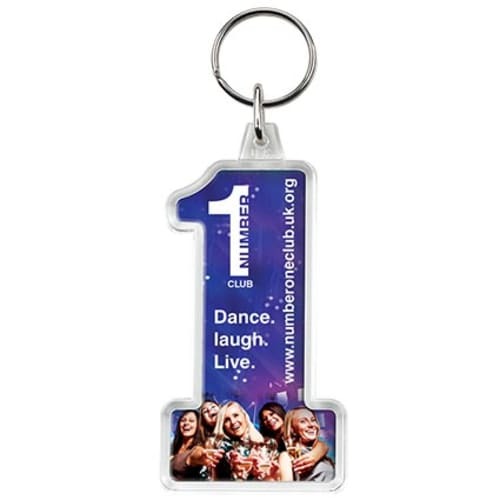 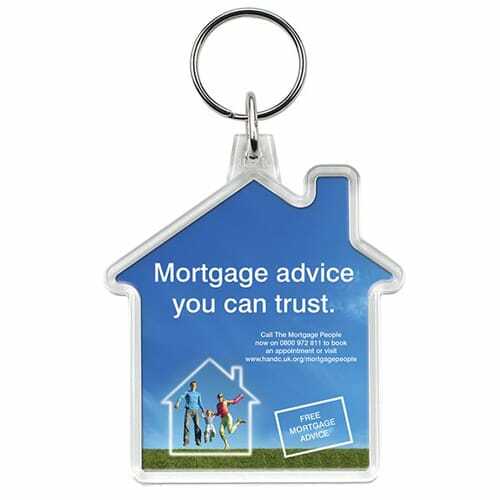 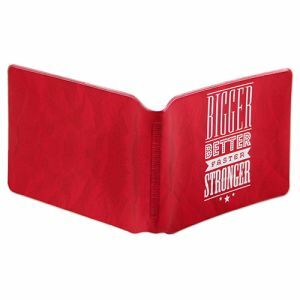 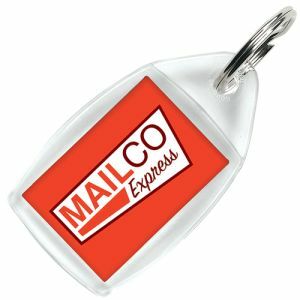 A clear plastic keyring with a paper insert, displaying your message on both sides. 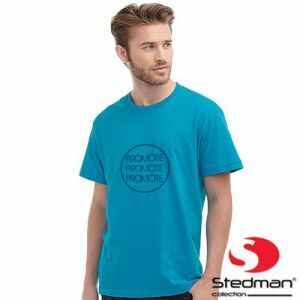 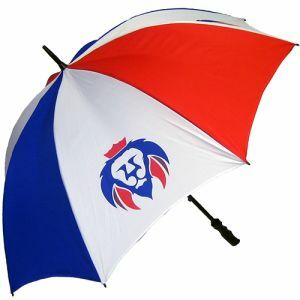 Available in a range of standard shapes: heart, van, key, house, t-shirt, mobile phone and number one.